The proposal due out Monday also will set spending limits for several federal agencies, according to White House budget director Mick Mulvaney. 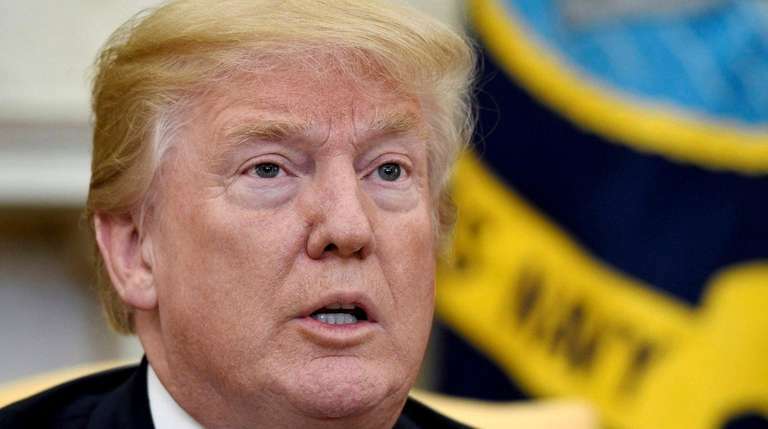 President Donald Trump is slated to release his 2019 budget proposal on Monday, with infrastructure and border security among the administration’s top spending priorities. Trump’s budget proposal includes $23 billion to fund the president’s proposed southern border wall and other border security initiatives, including $782 million to hire an additional 2,750 border patrol agents and Immigration and Customs Enforcement officers. The president’s immigration enforcement budget also includes $2.7 billion “to pay for an average daily detention capacity of 52,000” immigrants living in the United States illegally. The proposal also calls for $17 billion to combat the nation’s opioid drug epidemic, and $85.5 billion aimed at veterans health programs. Mulvaney, appearing on “Fox News Sunday,” said the president’s budget road map will set spending caps across several federal agencies, but also will restore money to the State Department and Environmental Protection Agency that administration officials originally set out to cut. The president’s budget wish list comes days after Congress approved a two-year, $400 billion spending plan, which is expected to push the budget deficit above $1 trillion. Mulvaney told Fox the president’s budget would seek to “bend the trajectory down” to move toward a balanced budget. Officials: Infrastructure plan relies on private investmentWASHINGTON -- The $200 billion infrastructure plan that President Donald Trump is to unveil Monday ... 5 ways Trump's words, actions have potentially affected LIersHere is a look at five ways President Trump and his administration have potentially impacted Long Island in his first year in office. Latest news: Trump presidencyGet the latest news on President Donald Trump and his administration.